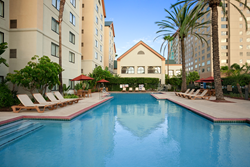 Homewood Suites by Hilton Anaheim Main Gate welcomes multi-platinum and Grammy Award®-winning rock band, Maná, on their Latino Power tour to the Honda Center in sunny southern California this November. Maná will be performing on Saturday, November 19th, with the goal of uniting and inspiring Latino communities to make their voices heard this fall. Maná is Latin Rock’s most engaging live band, cultural ambassadors and powerful social advocates and hope to inspire unity with their influential tour this year. Tickets begin at $46 with floor seating available for a premium price. For more information, please visit http://www.hondacenter.com/EventDetails.aspx?EventDateTimeID=1712.